Perfect! Thanks so much, love this ornament! Beautiful but too big. We’ll have to wait to wear it next year. I just received this photo from one of my customers! Her daughter was a ring master for Halloween, and this little red wool jacket worked perfectly for her costume! 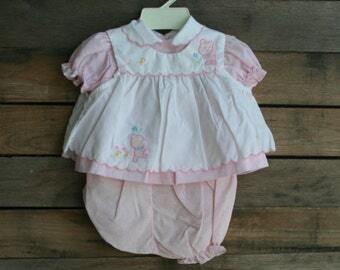 If you're looking for great vintage kids pieces, head over to my shop and check it out! To Be One in a Million. I began Vintage Pod on a whim and now it is my life. Vintage Pod is a curation of all my favorite things. The things that make up life. The comfortable things. The Familiar things. The things that take me back to my childhood and beyond. Old fashioned, country girl from Virginia living in the beach metropolis of Wilmington, North Carolina! I believe in celebrating life, in diving into the insanity even when it seems daunting. Thank you for shopping Vintage Pod! I hope you enjoy browsing and buying. If at any time you want an item and don't see it please let me know, It is my joy to hunt for your hidden treasures, and to create what you are looking for. Returns are only allowed if the item has been described inaccurately. I do my best to describe items as clearly as possible. If you have questions that have not been addressed in the item description please message me before purchasing. Items are not insured unless specified by the buyer. Orders cannot be canceled unless items are defective. Items will be shipped within 2 to 4 business days unless custom ordered or otherwise noted. If an item is damaged during shipping, you must contact me within 14 days of receiving your item in order to receive a refund or to come to an agreement. Photo's are required to be provided along with shipping materials. I am not held responsible for items that are damaged during shipping (I do my ABSOLUTE best to package them very safely! ), but I will do my absolute best to help file a claim and get your money back. Vintage Pod is not responsible for any fees that are charged by customs. This is the responsibility of the buyer. I work very hard to accurately describe my items. However, sometimes I do miss things. Please be aware that all clothes are vintage and may have small discrepancies. If you are purchasing an item and it MUST have certain dimensions (such as a mirror fitting into a vanity), please contact me prior to purchasing to make sure that every detail is correct. I work with a lot of inventory and sometimes things slip by. If you have questions. please feel free to ask!